At the workplace, there are various rules and regulations that you should take note of if you want to stay employed and have a clean record once you leave. These are things that should be followed by all the employees to make the workplace harmonious. And part of these rules and regulations is the process of requesting a rest day, otherwise known as a leave. You may also see free printable certificate templates. There are two types of leaves that are provided to employees, namely: vacation leaves—which is something that the employees can enjoy if they plan to take the day off for de-stressing purposes; and sick leaves, which employees are entitled to if they are having health issues and they need the time off to rest. But, to be able to benefit from these sick leaves, the employee will need to present a medical leave certificate when they report back to work. You may Certificate Templates. But then again, a medical certificate can only be issued by a qualified professional, specifically, a licensed physician. 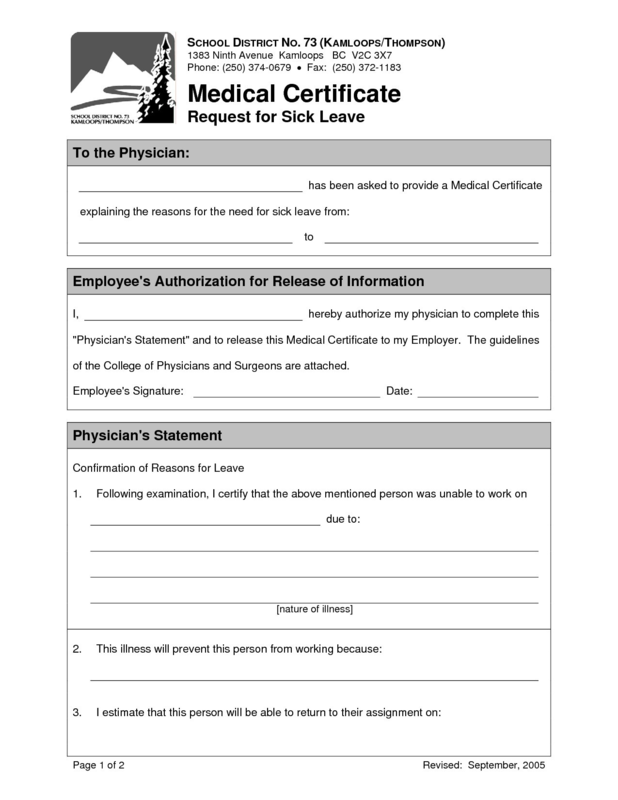 If you are one and you are looking for templates to help you in making your own medical certificates, check out our collection of medical certificate for leave templates below. 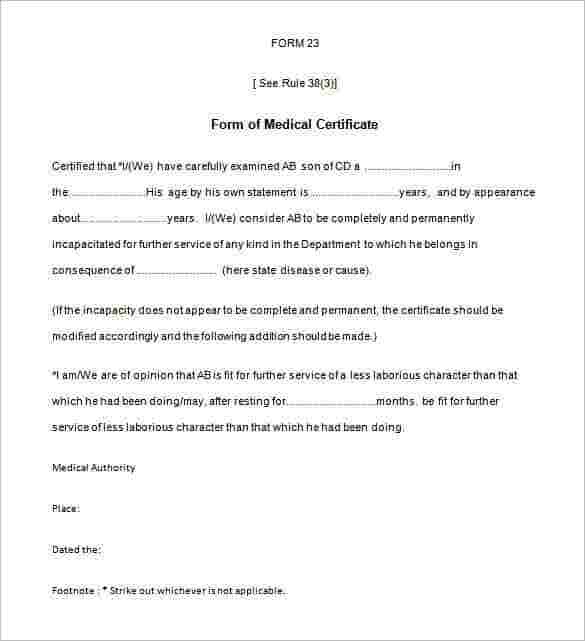 There are various ways of writing a medical certificate, and the most traditional one is the letter format, which is the one used in the template above. Here, the layout is already prepared, with multiple blank spaces meant for writing the patient’s data and the physician’s diagnosis. If this is the format that you’re comfortable with, feel free to download the PDF certificate template above. 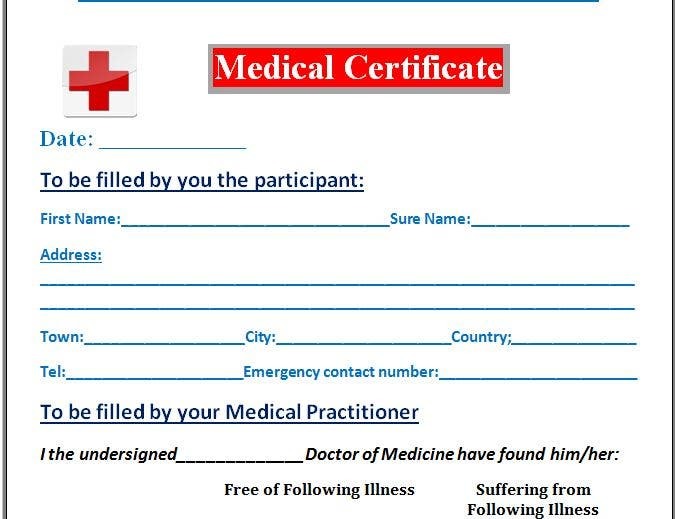 Here, on the other hand, is a different way of writing a general medical certificate, and this one mainly focuses on filling in blank spaces with the necessary data of the patient. 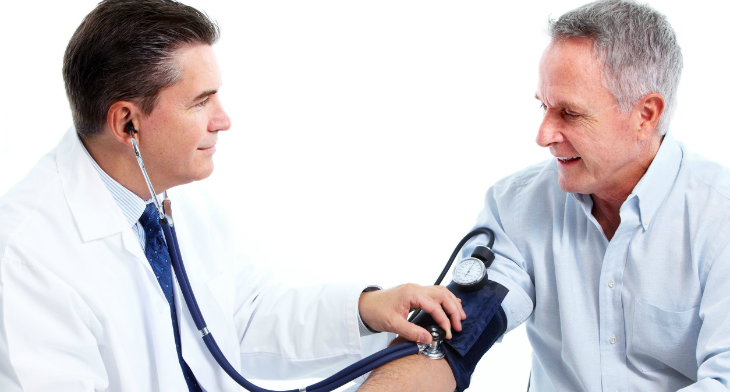 This is the ideal template for those who prefer to issue a thorough medical certificate to their patient but only contains what’s needed from them. 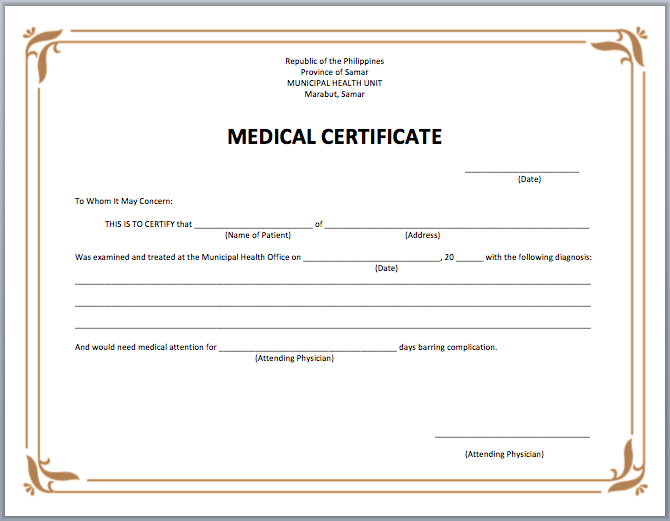 Above is another minimalist medical certificate template that you can print on even a small sheet of paper. If you decide to go with this one, you may be able to print two certificates on a single letter-sized paper, which is very cost-efficient. Just like the first template in this collection, this one follows a letter format with blank spaces that you can use for filling in with the patient’s information. For physicians specifically assigned with handling government workers, the template above may be what you need. This template is meant to be issued to those who are working under the government, which is why it has a highly structured and organized format. You may also see certificate samples. To those who wish to include specific policies on their free medical certificates, you may want to check out the template above. While the upper half is the only section intended for the medical certificate, the lower half is used for listing down notes with regards to how the certificate should be used. To those specializing in eye cases, the template above may be the perfect one for you. 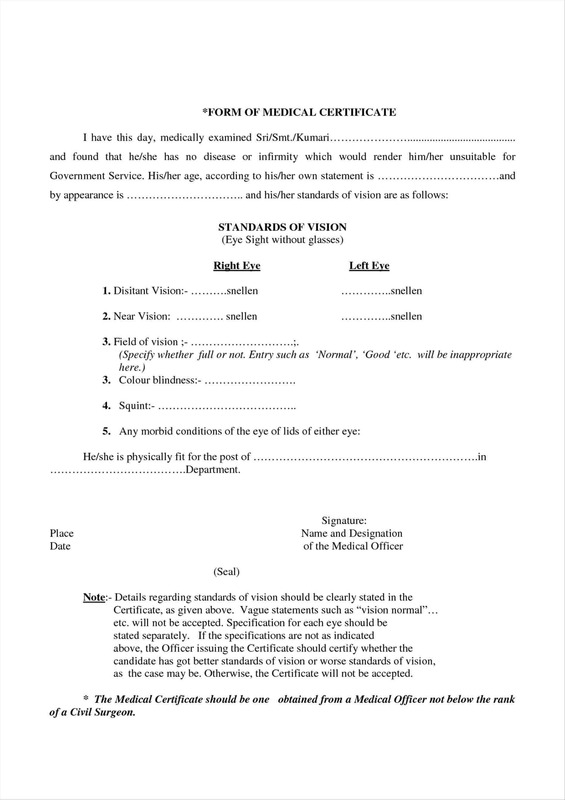 This medical certificate sample is intended for optometrists and the layout is already prepared to guide them on what to assess from their patient. 1. Age-related macular degeneration. Considered as the leading cause of blindness in people over 65 years of age, this is a condition that affects the macula—which is the center of the retina. There are actually two types of AMD: Dry macular degeneration, which is the more common type; and the wet macular degeneration, which become as it is due to the leakage of blood and fluids under the retina. You may also see free medical fitness certificates. 2. Proptosis. Also known as bulging eyes, is a condition when either one or both eyes protrude from their sockets due to swelling of the muscles and tissues behind the eye. This is often linked with various diseases and conditions including glaucoma, hyperthyroidism, leukemia, and many more. You may also see sample doctor medical certificate. 3. Cataract. A condition in which our eye’s natural crystalline lens become stiff or hard. Because of this, it would become quite difficult for our eyes to focus. Cataracts are often caused by aging, though there are other causes for it including diabetes, excessive steroid use, eye injuries, and even hereditary. You may also see medical fitness sample. 4. Color blindness. This condition does not entirely mean a person who has it is unable to see colors, they can but have difficulty distinguishing certain colors. Some color blind people are unable to distinguish between reds and greens, while some have difficulty distinguishing between blues and yellows. Color blindness is a genetic condition that is usually caused by how some cells in the retina respond to lights and colors. 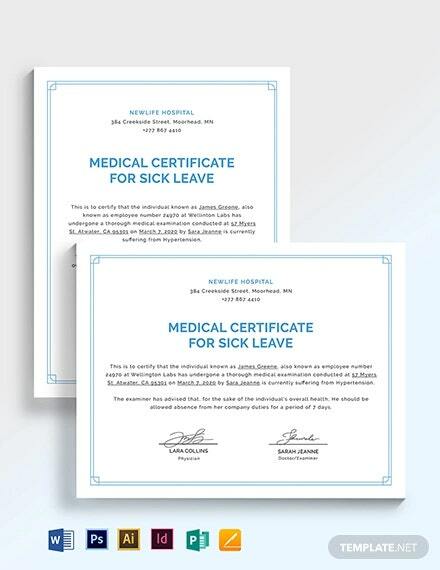 You may also see medical leave certificate. 5. Strabismus. More commonly known as crossed eyes, this is a condition that occurs when a person’s eyes are unable to simultaneously align at a particular point. This is the result of a weakness of the muscles in either one or both eyes wherein the weak eye will drift out of its position. Most cases of strabismus are caused by genetic factors, while some are also caused by untreated farsightedness. You may also see free certificate templates. 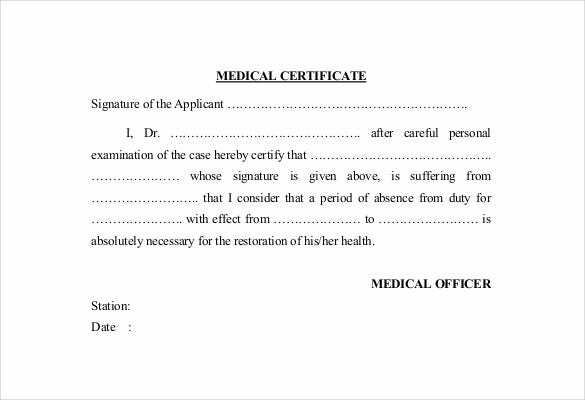 Previously, we have seen medical certificates in the letter and the fill-in-the-blank formats, here is another way of writing a medical certificate. Basically, the questions that the physician will need to ask during the consultation and laid out, and these questions are all closed-ended, which means that they can only be answered with a yes or no. 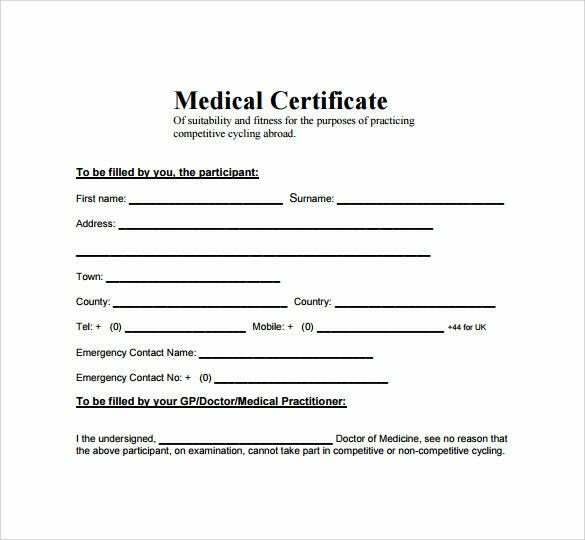 This is a good medical certificate template to use if you plan on being time-efficient during your patient consultations. 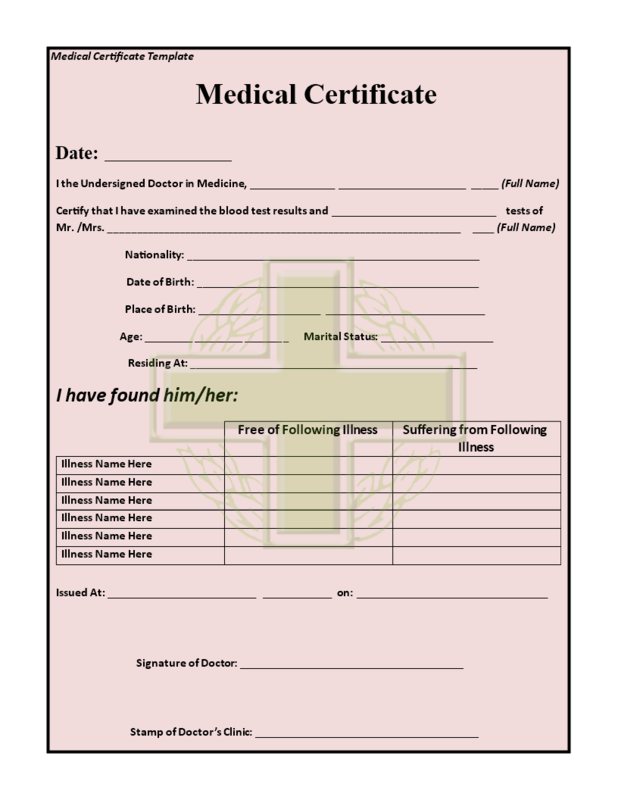 You may also see hospital medical certificate template. If you want organized and easy to read, then check out the template above. 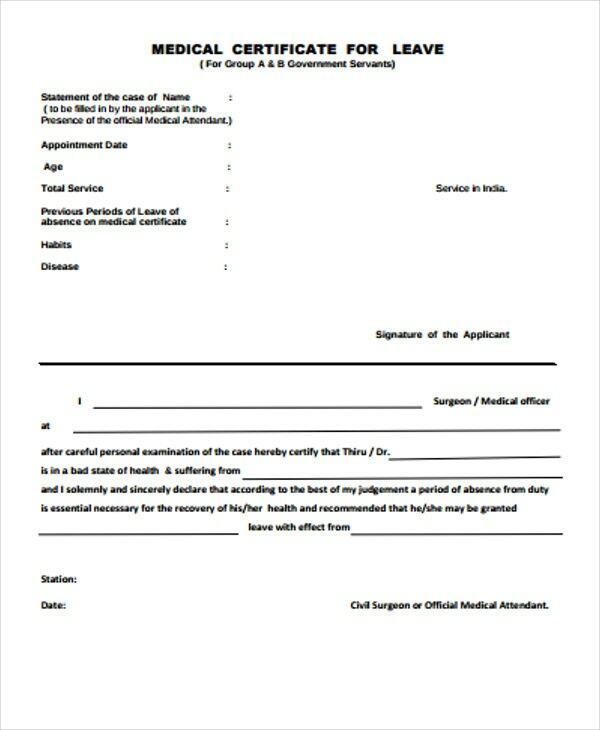 This sick leave medical certificate template is another one of those that you will simply need to fill in the blanks with the patient’s data. However, the difference with this template is that a table is provided in the middle for listing down the illnesses reported and found on the patient. 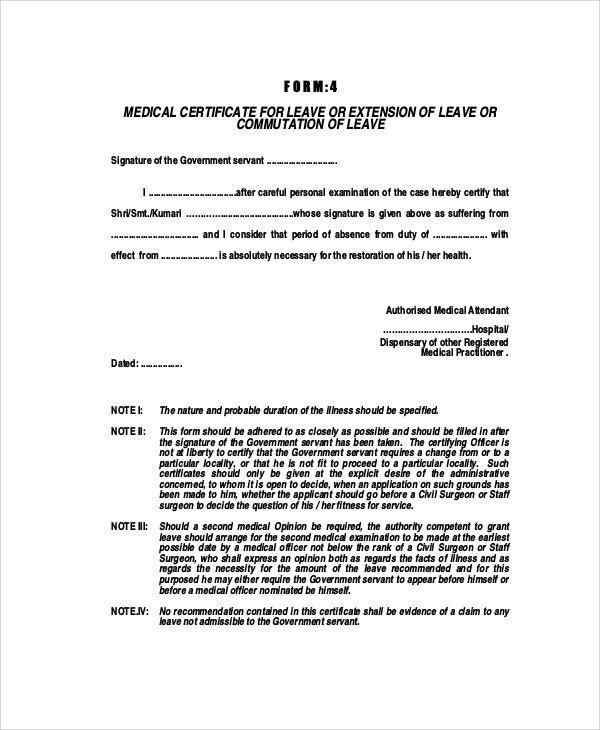 Do you think you’ll be able to make good use of these medical certificate templates if someone wishes to go on leave because of health reasons? You should be because you might not be able to find certificate templates as good as these anywhere else, especially with this quality and affordability. You may also see hospital medical certificate templates. These certificate templates have been created by professionals to be used by professionals, which means you have nothing to worry about whether or not it might have the content that you need. Besides, these templates are fully editable, which means that if specific elements are needed to be added or removed, you are allowed to do so without too much hassle. 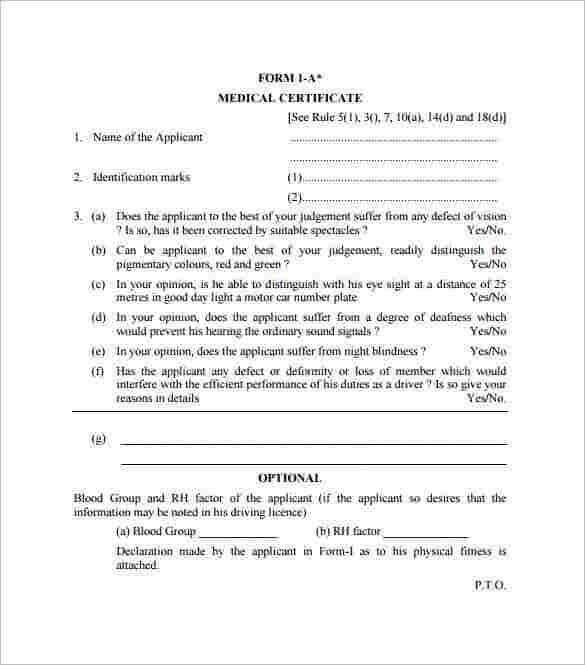 You may also see sample medical forms. When editing these template, just make sure to have the appropriate programs ready. For templates in the DOC format, you will need to have a document processor such as Microsoft Word; and for PDF templates, you will need Adobe Acrobat for it. 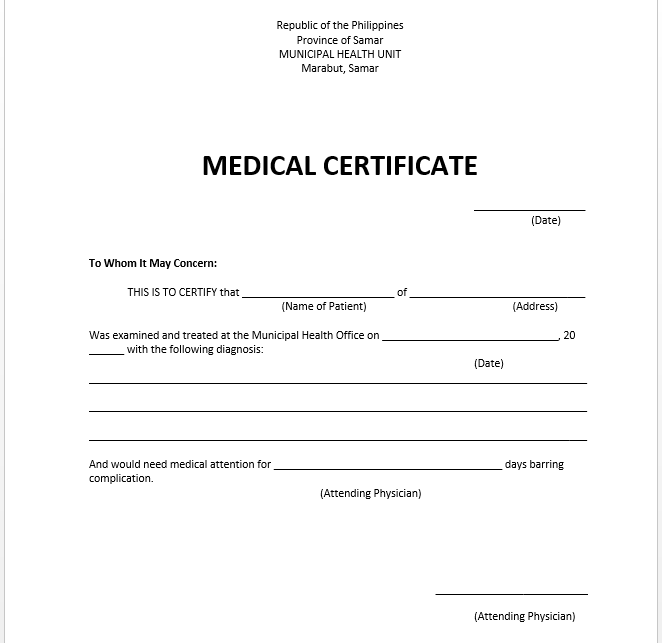 I’m sure you’re now ready to get your hands on one of these medical certificate templates, so go ahead and download one now. You may also see free medical certificate for school.